Good, sturdy everyday bin, should prove difficult to break! An understated addition to any work environment, our Addis 50 Ltd Open Top Bin has been designed to blend into your current office environment. 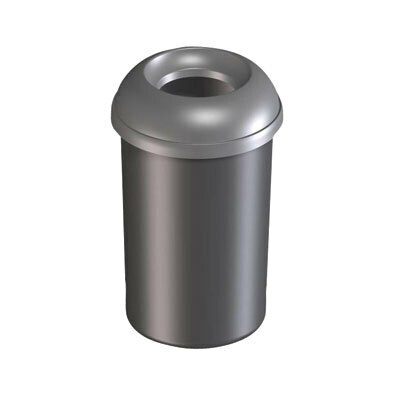 Finished in a sleek, silver colour, this smooth silhouetted bin has been designed with an open top to allow quick and easy waste disposal. With a large 50L capacity and strong plastic construction, this reliable top bin is easy to maintain and can wipe clean easily with disinfectant wipes. The footplate makes it simple to change out bin liners and a 10 year manufacturing guarantee provide peace of mind for every user. Keep your bin clean with our Disinfectant wipes while our Bin Liners and Refuse ensure your office always stays tidy. If your preference is swing bin lines, we have packs of 1000 and 500 available online.